High technology touches every aspect of our lives today. Shape the future with a degree in Computer Science. 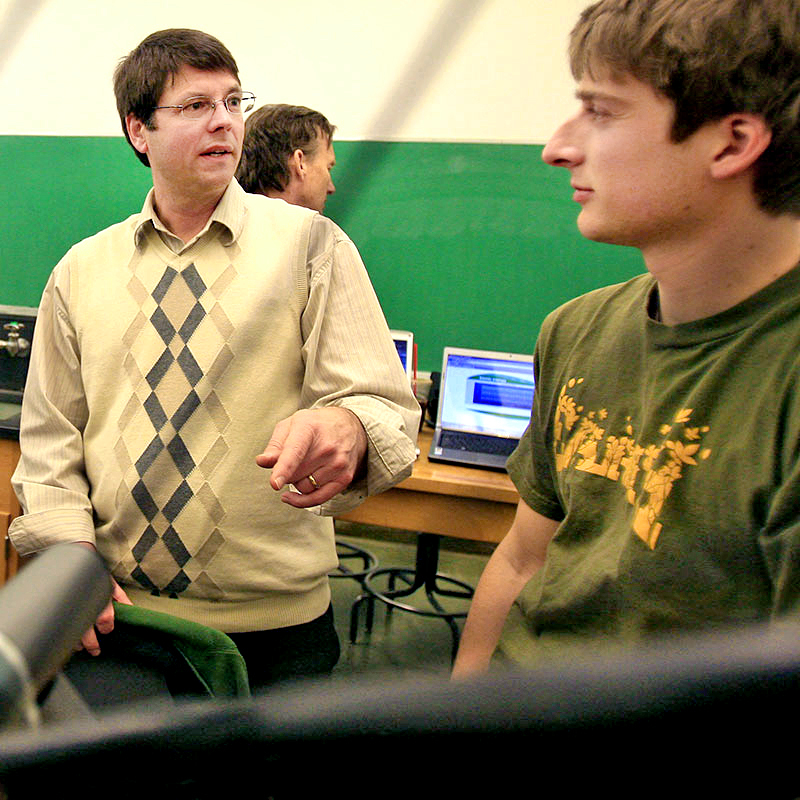 The SOU Computer Science program prepares students for careers in the rapidly-changing world of computing. Our software-oriented program emphasizes the applied aspects of computer science. Intensive coursework provides students with a firm foundation in the full range of computer science core knowledge and skills, as well as opportunities to apply that foundation and explore advanced topics of interest. We had the freedom to create a unique senior project. We received full support from our advisors and that project helped me land my first job in the game industry! The most important aspect I liked from studying computer science at SOU was the exposure to many different technologies. One of the things I really appreciate about my CS education was the exposure to project management and the implementation process from a business perspective. That knowledge has been invaluable for my experience in IT with both healthcare and government.